Royal Bank of Scotland chief executive Stephen Hester has agreed to waive his bonus of approaching £1million after the Labour Party threatened to call a parliamentary debate on the issue. This follows close on the heels of the RBS chairman, Sir Philip Hampton’s, decision to refuse his own bonus of £1.4million. As a measure of wealth these figures are pretty striking. They are bonuses not pay. 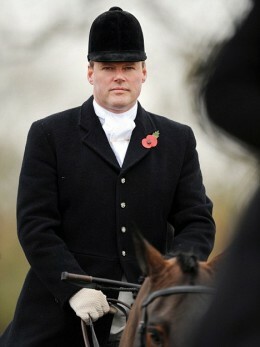 Mr Heston still stands to pocket in the region of £39millionduring his time with RBS. Apparently these men can afford to refuse what the rest of us would consider a fortune. To put it into perspective, if you were to put £1.4million into a savings account at 5% interest, this would earn you £70,000 a year. Of course, while Parliament can exert pressure on banks which are substantially in public ownership, it has no control whatsoever over the private behemoths that sit astride our world. For example, Goldman Sachs paid its chief executive, Lloyd Blankfein, $2.9million last year, and gave him a bonus in share options worth$12.6million. In 2007 Mr Blankfein was paid $67.9million. This was the year before the credit crunch hit. Personally I would be very surprised if Goldman Sachs wasn’t already fully aware of what was about to happen. The following year the American government handed the banks $1.2trillion in bailout money. 1.2trillion. Try to get your brains around that. That’s 1.2 followed by elevennoughts. 1.2 trillion seconds is 38 thousand and 26 years. 1.2 trillion inches is 19 million miles. That’s all the way to the Moon and back nearly 40 times. This is just to give you a measure of how large the figure actually is. And you wonder why the world has grown significantly poorer of late. The word privilege comes to mind here. It is from the Latin and means “private law”. A privilege is a legal advantage given to one group over another. The specific privilege the banks have is the right to issue money and then to charge interest on it. This is in effect a form of privatised tax. It is a tax on the money supply. Every time money circulates we pay tax on it. But not public tax, to pay for public services. Private tax to pay for banker’s bonuses. The interesting thing here is that David Cameron’s reason for threatening to veto any European treaty designed to keep the Euro afloat is that it would damage the interests of the City (sometimes euphemistically referred to as Britain). This is because the EU is proposing a Financial Transactions Tax on the banks. In other words, the EU wants to tax the tax that the bankers have imposed on the rest of us. A tax on a tax means more tax. It would be a hell of a lot simpler to remove the banks’ right to impose their taxes in the first place. Meanwhile Fred Goodwin (formerly SirFred) has had his knighthood stripped from him. 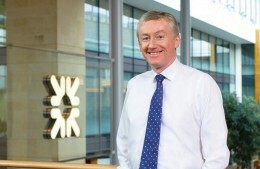 He was given the knighthood in 2004 on the advice of the last Labour Government for services to banking. Note the irony in this. This is barely four years before the activities of banks such as the Royal Bank of Scotland had brought our world to the brink of collapse. Both acts – the act of giving him the knighthood, and the act of taking it away again – show how little power the government really has. It cannot control the financial system. The most it can do is to reward or punish, in very superficial ways, those who do. But the act of removing his knighthood just looks like scapegoating to me. We are punishing ex-Sir Fred – now plain old Mr Goodwin – in lieu of all the other bankers we cannot get to. The rest of them are getting away with it. Or perhaps it is a way of diverting attention? And somehow I doubt that even Mr Fred is all that worried at his demotion. So he was a knight, and now he is a commoner. But he is a very rich commoner indeed and – unlike the rest of us – will never have to pay for the consequences of his behaviour. Meanwhile the banks continue on their merry way. They continue to pay themselves the kind of bonuses that would keep whole cities afloat. They continue to amass wealth off the back of our labour. And who, aside from Mr Goodwin, has ever been punished for what was, at the very least, large scale dishonesty in the financial services industry? Remember: they were slicing up and repackaging toxic mortgages as triple A investments and then selling them on to our pension funds and other public bodies; banks like RBS were bloating themselves with borrowing and then taking on risky investments in order to increase bonuses; they were hiding their activities from the rest of us behind complex financial arrangements which didn’t show up on the balance sheet. What all of this amounts to is fraud by any other name. They got away with it because of a culture of extreme liberalism in the financial sector. This is what is commonly referred to as the free market. What this means is that governments are content to look the other way, to allow self-regulation, to not question where the money is coming from. Actually one man was punished. 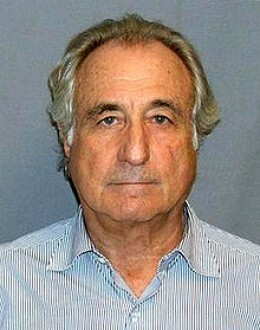 This was Bernie Madoff, who, on June 29, 2009, was sentenced to 150 years in prison for his part in the organisation of a huge Ponzi scheme known as Bernard L. Madoff Investment Securities LLC. A Ponzi scheme is a specific type of financial fraud in which returns to investors are made by paying them off either with their own money, or by the constant recruitment of new investors. b) there is still wealth in the world to be extracted. The whole of the financial industry is, in effect, a form of highly evolved, complex, interdependent Ponzi scheme. It doesn’t make wealth. It extracts wealth. It doesn’t create anything, it merely lives off the backs of those who do. It has to grow constantly for it to survive. It lives off promises and deceit and sleight of hand and trickery. It has to sucker more and more people into its mind-set, into the vain delusion that we can all get rich by doing nothing. But, in the end, just like any Ponzi scheme, there is a limit to how far it can grow before the whole thing collapses in on itself. We have reached that limit. Expect the collapse very soon. Economics as if people and the planet mattered. nef is an independent think-and-do tank that inspires and demonstrates real economic well-being. This entry was posted in Economics and tagged Banking, Bernie Madoff, economics, Fred Goodwin, Gordon Sachs, Stephen Hester by adminthinkleft. Bookmark the permalink. Good points about FTT being a tax on us, really, and on the scapegoating of Goodwin. I wouldn’t waste any sympathy on Madoff, personally. Whether or not a dodgy financial activity is actually fraud depends on the way the law is framed. And both here and in the US, the law is framed in such a way as mostly to exclude dodgy financial activities. However, fraudulent mortgage originators in the US have been prosecuted and jailed: investment banks and congolomerates have also been prosecuted for fraud, but have settled out of court: and the US’s SEC still has pending action for fraud against 17 banks including the UK’s RBS. So it isn’t entirely true to say that they have got away with it. The investigations are still continuing, both in the US and here (where a fraud case concerning HBOS is currently sub judice). It’s not enough though to placate people’s anger, which is why Goodwin was scapegoated – stripping him of his knighthood was a gesture, no more. And I don’t think the real culprits ever will be called to account, really – because the law is created by politicians and administered by lawyers who have a vested interest in protecting fellow members of the ruling elite. I think your post would benefit from more consideration of the captivity of the political class both here and in the US. The reasons bankers have got away with so much, have kept their ridiculous financial remuneration and have been able to resist any effective reform of the system is because politicians have allowed them to – and that is because politicians themselves have benefited. And the reason that we got into this mess in the first place is because politicians allowed and encouraged deregulation and massive expansion of financial services because it suited political agendas. Yes, the banks lobbied for this. But governments, and individual politicians, benefited. They are all in it together. I don’t support any proposals that would put more power in the hands of politicians unless there is real reform of the system and genuinely independent checks and balances are introduced. And I don’t really have any confidence that that will happen, because there are too many vested interests – not only bankers, but politicians as well. Replacing banker control with political control simply shifts the problem, it does not fix it. And what bothers me more than anything else is justifying political control over the financial sector in the name of “democracy”. .While politicians remain captive and corruptible, it’s anything but democratic. Actually, fraud is very simple: an intentional misrepresentation of a material fact or facts that another person relies upon to their detriment. Fraud by financial institutions and government both has been rampant under that standard and traditional definition. Utterly systemic and structural. No longer even recognized for what it is, so common is it. One thing that has never been clear, though, is when something is a civil fraud, and when it qualifies as a criminal fraud, because they generally have the same definition. The best answer to that is, when a prosecutor decides to prosecute it as a criminal fraud, then it is. When fraud is as widespread and systemic as it is now, I agree that any criminal prosecutions become largely symbolic and episodic. They do no good at all, because no one can figure out why the one fraud gets prosecuted and not 10 million others. And there really is no reason. It’s intrinsically arbitrary. Other fraudsters just shrug their shoulders and go on, figuring the percentages favor them, as they surely do. I would generally favor treating everything as a civil fraud and encouraging victims to sue for compensation, rather than meaningless government criminal prosecutions. The problem there, at least in the US, is that judges despise the idea of lots of individual lawsuits since, among other reasons, it makes a lot of work for them. So for decades now, judges have discouraged such lawsuits by being obviously eager to dismiss them. They face no consequences for it, because the people doing the suing are basically powerless politically. In many ways this is at the root of the problem: the failure of the judiciary and legal profession to exercise any dominion over the financial fraud on behalf of the victims, to the point where there is now too much of it to handle that way. Hello Frances and JMRJ: I must admit I’m no expert in these matters. These are my thoughts on what’s been happening in our financial world, that’s all. They are layman’s thoughts, not an expert’s. However, I just looked up the word “fraud” on an online dictionary, which came up with this definition: “deceit, trickery, sharp practice, or breach of confidence, perpetrated for profit or to gain some unfair or dishonest advantage.” That seems to me to be the very definition of what was going down prior to 2008, and to some extent is still happening to this day. We have a financial sector which is completely out of regulatory control, to the detriment of the economic well-being of the rest of the human race. I think you’re right Frances, that I might have given more consideration to the way the political class have been effectively bought off by the financial sector, though I have written other things in the past about this. Just to make it clear where these articles come from: I write a 350 word comment piece in my local paper. These articles are basically extensions of that. You try saying anything in 350 words. JMRJ: your point about the judiciary and the legal profession failing to hold the financial sector to account is the corollary of Frances’ point about the political class. As to what we might do to start holding these fraudsters to account, your guess is as good as mine right now.